A New Hampshire community comes together to help grant the wish of a dying man. Volunteers in Epping, escorted by storm troopers, took the man to watch the new "Star Wars" movie screening. 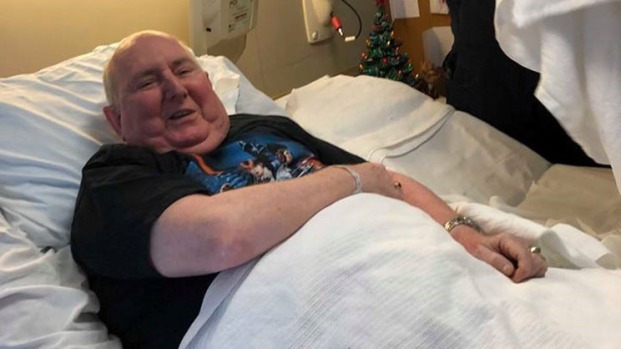 A dying man's wish to see the new "Star Wars" movie came true, thanks to local fire departments and medics. Ron Villemaire has stage four colon cancer and is in hospice care in Bedford, New Hampshire, his daughter, Elizabeth Ngo, said Friday. He's a huge "Star Wars" fan, but can't get to a theater and sit in a seat. After a public plea from Ngo, the Bedford and New Boston fire departments made it happen Saturday. They took him by ambulance to a theater and transferred him to a hospital bed, allowing him to see the film comfortably. Medics were on hand while he watched "Star Wars: The Last Jedi." "We decided to partner to make his dream come true," New Boston Fire Chief Dan MacDonald said. 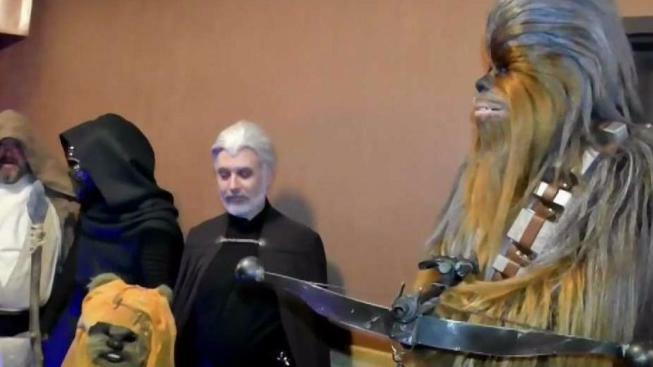 He said the movie theater manager and a representative of a group that dresses up as "Star Wars" characters talked to Villemaire, who "just couldn't believe it." People also donated money to help with the outing. Villemaire was joined by family and friends — as well as Darth Vader and stormtroopers. Villemaire, a U.S. Air Force veteran, also was greeted by representatives thanking him for his service.